Have you ever seen someone with a bright, white smile and wished you could have a brilliant smile like that, too? Having a beautiful white smile is now easier than ever. We can show you how you can have whiter teeth you can show off with pride. And we can show you how, with our teeth bleaching systems, you can have whiter teeth for life! To give you whiter teeth, we offer two different teeth whitening systems and a fabulous free teeth whitening program that we think you will love. We use the Ultradent Boost™ in office teeth whitening system. This teeth bleaching system has many advantages to give you whiter teeth. With some other in office teeth whitening, a special light is needed. With Ultradent Boost in office teeth whitening system, no light is needed, which makes it more comfortable and convenient. Ultradent Boost in office teeth whitening system uses a powerful 40% hydrogen peroxide gel that gives you dazzling whiter teeth. This teeth bleaching system actually strengthens enamel, decreases tooth sensitivity, and can prevent cavities while giving you whiter teeth! 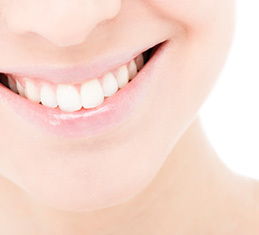 We also offer some amazing take home teeth whitening offers to give you whiter teeth. With take home teeth bleaching kits, they give you whiter teeth, much brighter than anything you can purchase at the drugstore or supermarket. The take home teeth bleaching kits use a custom-made teeth bleaching tray with professional take home teeth whitening gel. And here is our bonus: our Teeth Whitening Program! When you come in for your complete check up, exam, xrays and cleaning, we make teeth whitening trays for you to take home and use. Every time you come in for your six month checkup and cleaning, we give you more teeth whitening solution free of charge! We care about you and your loved ones and want you to have the prettiest smile possible. Teeth bleaching to give you whiter teeth is just one way we can help you get the smile of your dreams. Call today!